The thing we love about every design portfolio is that they are always achingly cool, cutting edge and beautifully creative. There is no conformity and expression flows freely throughout to grab the reader’s attention and to show us that this design portfolio isn’t cut from the same cloth as the others. In this article we will be looking at our favourite top 10 design portfolios that will vary from different industries and I will be talking about what my favourite features are within the website. Graphic Designers Oni Design have a beautifully laid out design portfolio site. The branding is very strong with the blindingly pink design and more subtle CSS tricks make hovering over each design portfolio project a delight. Like Creative Spark, they have a category menu but instead of shuffling the projects around, it washes out the projects that aren’t in that category. I like Logo Design, they are straight to the point and have kept things to the point. They have a great homepage with Parallax scrolling but the real gem in this website is their design portfolio. When clicking on the ‘Logos’ page, the sheer simplicity and size of the page is pretty striking. Large logos and short descriptions keep things to the point and lets you see every pixel of their design work. Much like the first two design portfolios, this design portfolio from Catch is a grid layout with super cool CSS effects. The pink tint on rollover is another hint towards their brand colour. I like how they are laid out in a large list, keeping the attention on the portfolio instead of splitting them in to separate pages. Jepson Rae, web and print designers from London have made a very visually appealing, and surprisingly fast loading portfolio page with some very nice image rollover effects. Whilst subtle, the zoom and text on rollover is smooth and fluid. I wouldn’t mind trying to figure out how they have done that effect to nicely! A strikingly beautiful example of photography welcomes you to the page with a full page slider prompting you to view their featured projects. Underneath there is a more detailed grid of their other projects. Whilst initially slightly confusing to navigate, once you start hovering over the different projects, it breaks it up beautifully and actually has a decent amount of information rather than the majority of design portfolios. This is refreshingly different take on a design portfolio by Manchester based digital agency. Big, Bold, Simple but technical. This is what I love with websites. Straight to the point, achingly cool and informative. It’s impossible to get lost on this design portfolio and the pixel perfect images inform you of each project through visuals rather than explanations. Wicked Web not only boast an amazing design portfolio of huge clients, it is uber professional with it’s sleek black and white design and a minimalist touch. Super simple, minimalist and easy on the eyes. Another +1 from me! Alienation Digital may not boast the most comprehensive design portfolio but they can boast one of the most beautiful. Then again, it’s never quantity, it’s quality (Take my portfolio for example). The colours somehow work amazingly well and whilst orange is always a bit of a risk, it isn’t imposing and amazingly calming. Amazing job from this digital marketing agency. We love Uber’s design portfolio and we also picked them as we love to say uber too. The design is another different take on a design portfolio with a sort of ‘content index’ at the top of the page followed by a grid layout with short descriptions of the projects. Simple, easy on the eye and a sort of classy look rather than going for too uber modern. Camber Group have moved away from the now popular grid layout with a much easier to understand single column layout. It looks like a real designer’s design portfolio with the dark colours giving the impression of professionalism and class. No design portfolio has to conform to the recent trends as many of these have proved. Why not try moving things forwards or keeping things old-school? Whilst we love and will always favour big, bold, simple, square design portfolios, customers will be bored of looking at the same portfolios one after another. The main problem we have these days is differentiating ourselves from the norm and things aren’t going to change. Think outside of the box and have fun doing so! 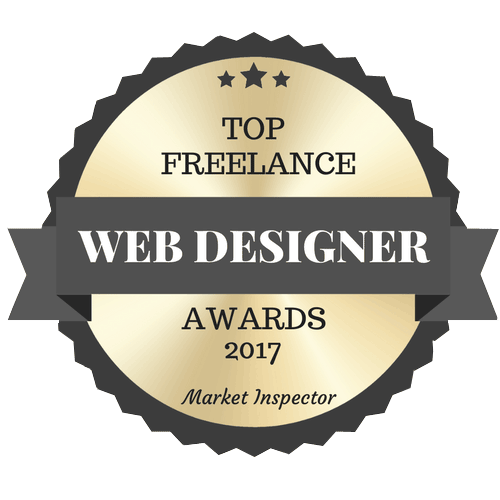 I’ve been a freelance web designer since the age of 10 and I’ve learnt a few things along the way. I’ve been brought up with the internet and how to create with it. From this, I’ve got over 12 years experience in the web design industry which is unique. Now I specialise in WordPress and responsive web design. I chose WordPress as it is the most user friendly and diverse CMS system out there and everything I make is responsive as standard. As a freelance web designer, I’m always looking at staying ahead of the game. I specialise in responsive Wordpress websites and pixel perfect designs. "The product has turned out to be truly unique and exactly what I wanted, both aesthetically and functionally. I cannot begin recommending him enough for any developing project, he's just the best!"